The Gerlos Alpine Road is an important pass road from Salzburg to Tyrol. It also connects the village centre of Wald with the district of Königsleiten, a well-known and popular ski region. 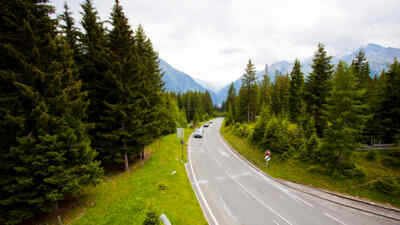 Located in the far west of the Pinzgau, part of the province of Salzburg, the mountain road is a great way to explore the alpine landscape between Krimml and the Tyrolean Zillertal. 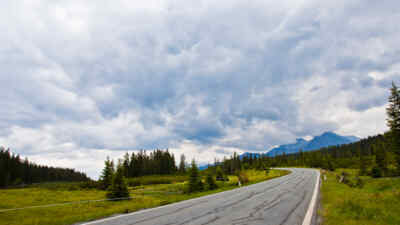 The most beautiful time to experience the alpine road is between May and late October. 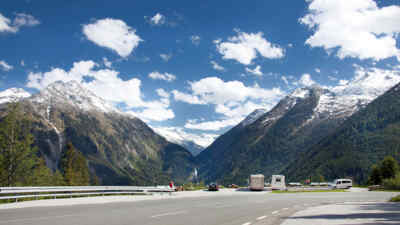 During the winter months, the Gerlos Alpine Road leads directly to the Zillertal Arena ski region. The absolute highlights of the mountain road are the WasserWelten Krimml and the Krimml Waterfalls plunging into the valley from a height of 380 m.
The pass road at the heart of the High Tauern National Park offers a broad range of options for families with children, appreciative convertible and vintage car drivers, hikers and nature aficionados. The Gerlos Alpine Road, the twelve most beautiful kilometres between Krimml and the pass summit, were planned by Franz Wallack, the architect of the Grossglockner High Alpine Road. His characteristic style is unmistakable: the enthusiastic alpinist managed to blend the road so seamlessly into the surrounding landscape that it seem to be part of it. The Krimml Waterfalls can be seen from every car park on this part of the road – and there’s a rare raised bog waiting for you on the pass summit before the alpine road leads down to Gerlos, the first village on the Tyrolean side, and to the Zillertal. When will you discover the WasserWelten Krimml, the world’s fifth-highest waterfalls and the sensational Gerlos Alpine Road between Salzburg and Tyrol? We’re looking forward to your visit!